Have you ever considered eating an insect, even just for fun? What are your alternative sources of protein then? Not meat, or even fish, but something like soy or beans or even eggs? If you are a vegetarian or vegan, this is a daily concern. And even if you are not, it’s good to eat something different once in a while, right? But some people don’t have this luxury, and in the not too distant future, you might not either. How about eating insects for protein then? The world’s population stands at a little over 7bn; by 2060 this will have risen to perhaps 9.5bn, and that is a fairly optimistic scenario. So that is a lot of people, and growing by the minute. However, let’s take a deeper look at the need for protein which is one of the biggest issues we will have to face in the future. As the population of the world also gets richer, so too does the demand for meat. And the same article from the Guardian claims that meat demand will more than double by 2050. But why is this such a problem? So as you can clearly see, the production of meat is not an ideal way to use our resources to produce protein. Especially when we are looking at double the consumption in the not too distant future. In 2015 we have a wide range of protein alternatives, many of which you have probably never heard of. Let’s take a look at all of the alternatives, including those you already know. And then there are the more fringe ideas such as laboratory or “fake” meats which have not yet become viable alternatives. How are insects being used in the western world as protein alternatives right now? 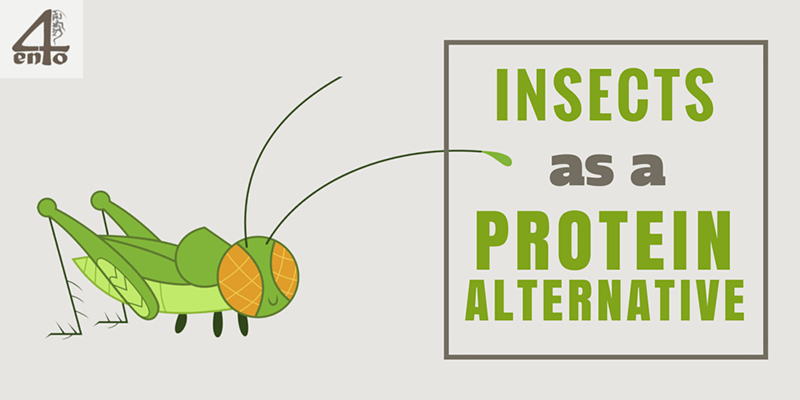 Let’s take a look at how some people are eating insects for protein. Now that is one interesting snack food, don’t you think? What about insect protein bars? Of course! There are the insect protein bars with cricket powder from Exo, one of the more popular insect based protein options around. Or how about something a little more exotic, like chocolate cricket nut fudge? Grubs in the UK offers two delicious versions! If you’re ready to experiment and bake your own breads and cakes All Things Bugs is one of the premier and largest suppliers of cricket powder. Note: For a detailed report on cricket powder and flour and all the goodness within, you might want to read this post. But there are certainly more insect protein alternatives out there such as a very unique mealworm burger being sold at some Jumbo stores in the Netherlands. A great way to test the alternatives in the real world. And their neighbors in Belgium are not to be outdone with a salty or chocolate spread containing mealworm that is being sold by GreeKow.be. And these are certainly not the only companies out there taking protein alternatives to a new level with the inclusion of insects. Insect consumption is a normal part of life in many eastern countries and perhaps it is time we started thinking about it too. With so many alternatives crawling out of the woodwork (sorry for the pun) we certainly have the opportunity. And with so many benefits that go with, I wonder what we are waiting for. Join me February 3rd, 2015 at the Food Innovation Summit. I’ll be taking part in the Disruptive Meat Alternatives panel.